The first rule of aluminum is, “Don’t put it in the dishwasher.” Dishwashers will discolor and dull aluminum pans, and over time, putting your aluminum baking sheets and pans in the dishwasher, or leaving them to soak in soapy water for too long, can cause oxidation and rust. 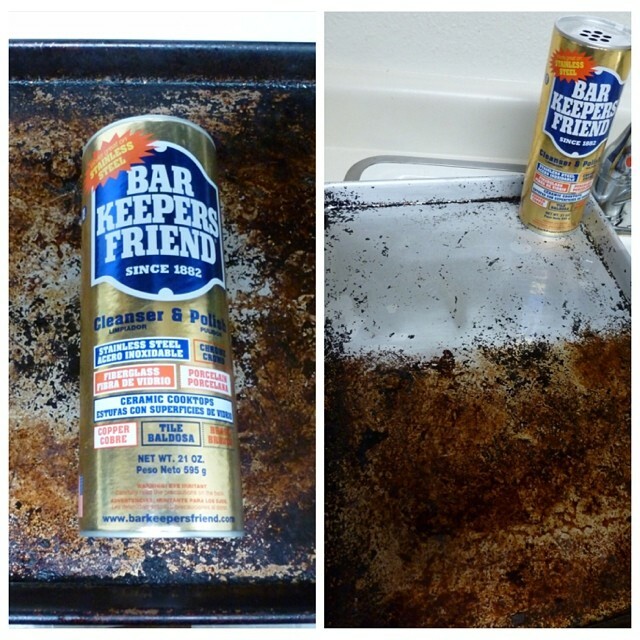 Get the grime off aluminum baking pans and keep them looking like new with BKF cleanser. 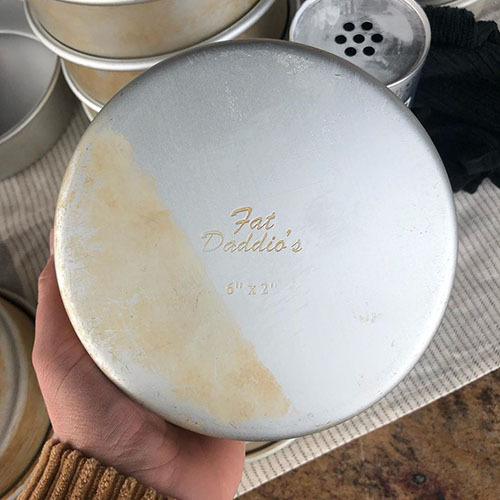 If your aluminum baking pans are looking neglected, either our powdered Cleanser or our Cookware Cleanser & Polish are perfect for this type of tough job. Bar Keepers Friend can remove burned-on sugar and oils and get you back in the baking business in no time. The folks at kitchenware store The Orson Gygi Company shared insights about caring for and cleaning aluminum bakeware on their Instagram account and on their blog. Check it out, and make sure to browse their online store, where you can purchase Bar Keepers Friend Cookware Cleanser & Polish and lots of other really amazing kitchen goods.